Craven Street Capital Limited (“CSC”) was delighted to be a proud sponsor of the 2017 European ITF Taekwon-Do Championships that took place in Liverpool last week, marking the 50th anniversary of Taekwondo in the UK. The event was held at the Echo Arena in Liverpool from 24th April to 30th April 2017 with over 800 athletes taking part from 32 countries. The CSC team were thrilled to attend the event on Friday 28th April, celebrating the first day of their management buy-out (“MBO”) and rebranding from PSource Capital Limited. 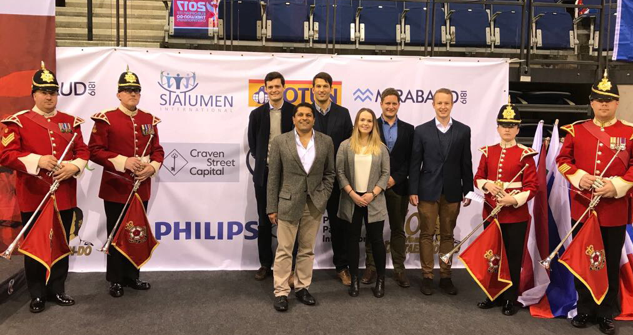 Craven Street Capital sponsored the event together with Mirabaud, Proton Partners International, MEI, and Philips, amongst others. Our congratulations go out to all the competitors who took part in the 2017 European ITF Taekwon-Do Championships, especially to the England home nation team for coming 7th with a total of 54 medals (6 gold medals, 14 silver medals and 34 bronze medals). Scotland also came 11th, Wales 12th and Northern Ireland 19th. Special thanks to the organisers European International Taekwon-Do Federation and Mike Moran (CEO, Proton Partners International) for organising a spectacular event that Craven street Capital are proud to be a part of.